I love when spur-of-the-moment meals turn out to be blog-worthy, and these easy wraps definitely fit the bill. 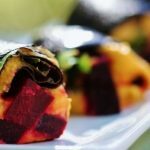 I’ve written about tons of different kinds of nori rolls, especially raw ones: sweet potato and beet nori rolls, turmeric and pumpkin seed nori rolls, raw cashew ginger nori rolls, beet and vegetable nori rolls. 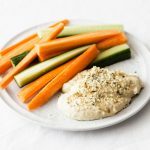 I love using nut pate with nori–it’s the easiest kind of raw “sushi” there is–but the other day I had no nut pate on hand, and I wasn’t feeling particularly patient. What I did have was plenty of roasted red pepper hummus, freshly made and delicious. It turned out to be a perfect base for this quick, easy, light dish. There’s really no “recipe” to speak of here. All you need is a sheet or two of nori, a batch of your favorite hummus, and any vegetable fillers you like. 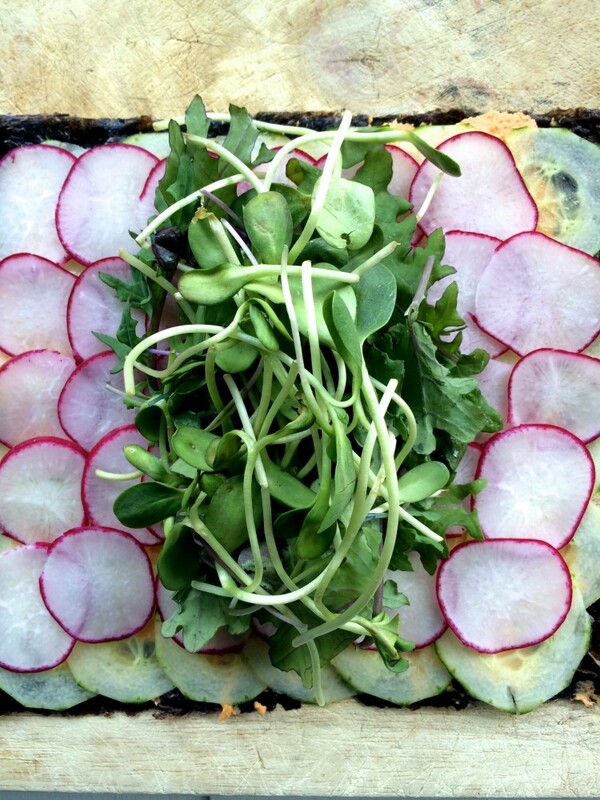 I used thinly sliced radish, cucumber, and delectable sunflower sprouts. 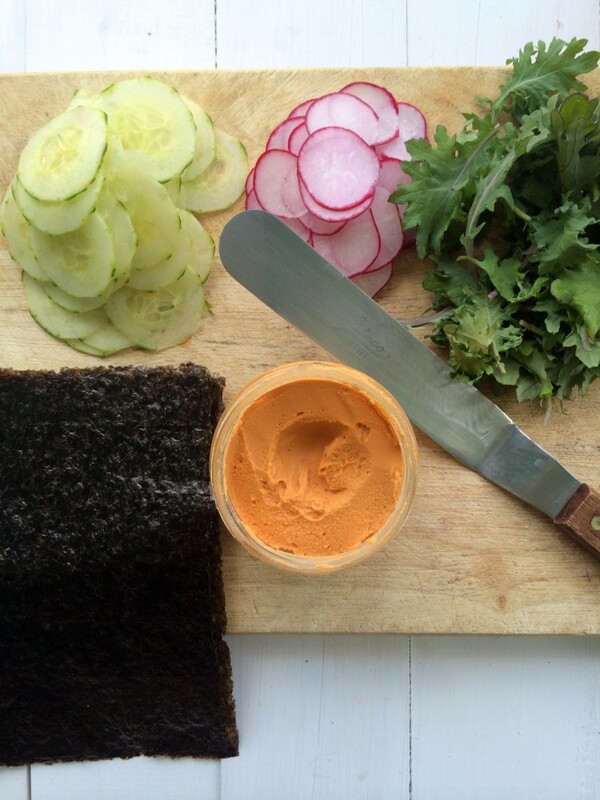 Spread about a quarter cup of hummus over the nori sheet, and layer the veggies evenly on top. Pile sprouts in the center. Wrap the nori sheet up, and then seal the edges with a small amount of the hummus. The wrap should stick together easily. Use a sharp knife to slice it in half, and serve. Pretty lovely, if I say so myself! I almost felt bad eating them. Until I tasted how good they were, at which point I didn’t feel bad at all. 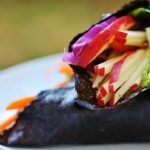 The wraps make for a relatively light meal, so you could serve them as an appetizer, as a snack, or you could pair them with some grains or legumes or seared tempeh for an easy lunch. Feel free to customize the fillings however you’d like, changing them with the seasons. I’ll be back soon, folks. Have a great evening! 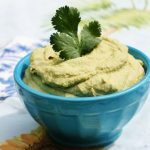 Zesty Cilantro Lovers Hummus: It Might Surprise You! I love recipes that aren’t really recipes. Nori is something I looove, but never buy. I don’t know why! 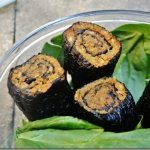 I’ve been meaning to make homemade sushi for some time now, so maybe I’ll get some nori sheets to do that, and also make these wraps while I’m at it! Grated carrot would be a nice filler. 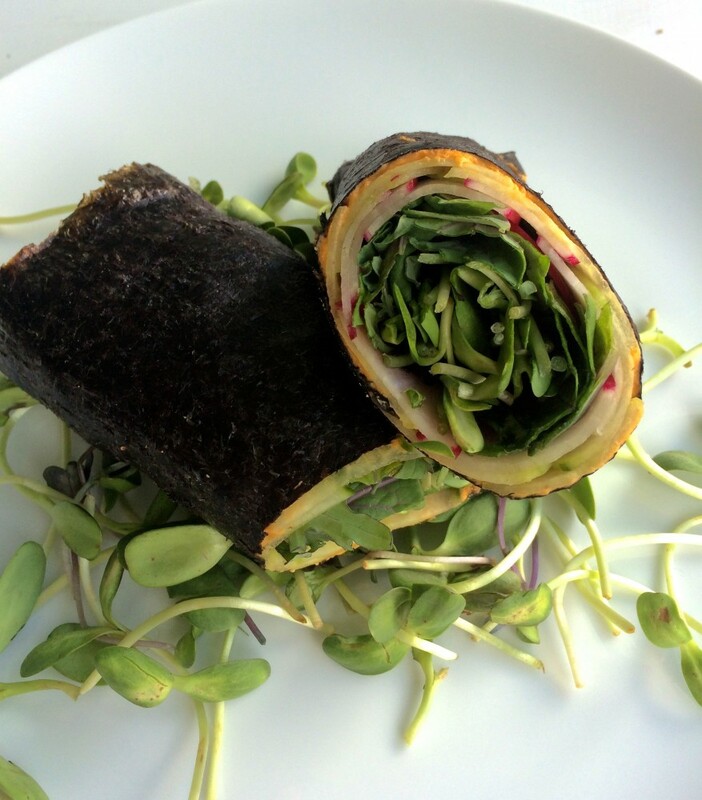 Hummus is so great in nori wraps! But I completely forgot about this. Now I know what to do with those poor nori sheets hanging around in the pantry. So pretty & fresh–love it. My kids actually LOVE nori, which surprises (& confuses) my husband. I’ve never made them nori wraps though (they’ll just eat it plain). They love spring rolls with rice paper wraps, so I’m sure these would be a hit too. Didn’t have any hummus, so I slathered my nori with mashed avocado–perfect snack! Thanks! I always forget about nori wraps! These are just beautiful. 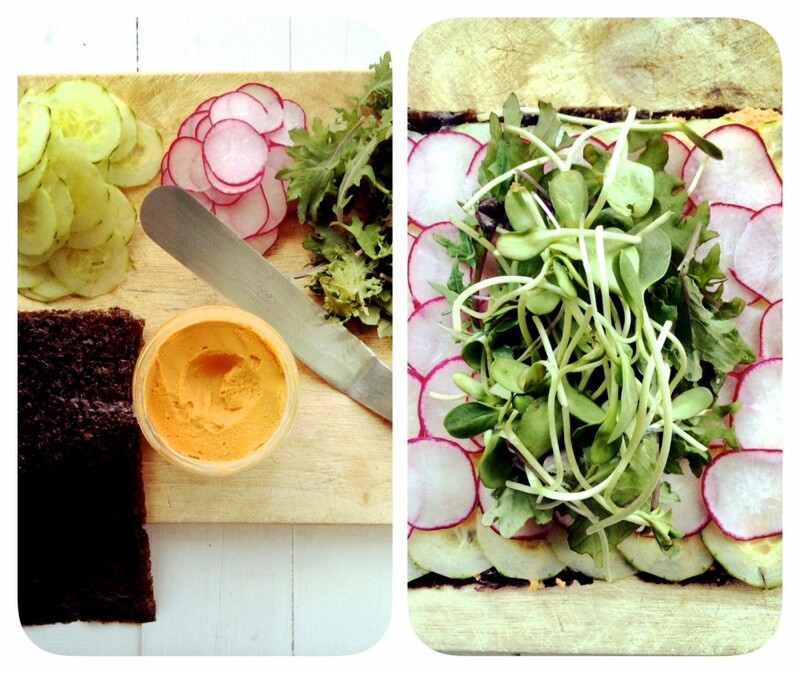 I keep seeing sunflower sprouts in the blogosphere at the moment and really want to try them. 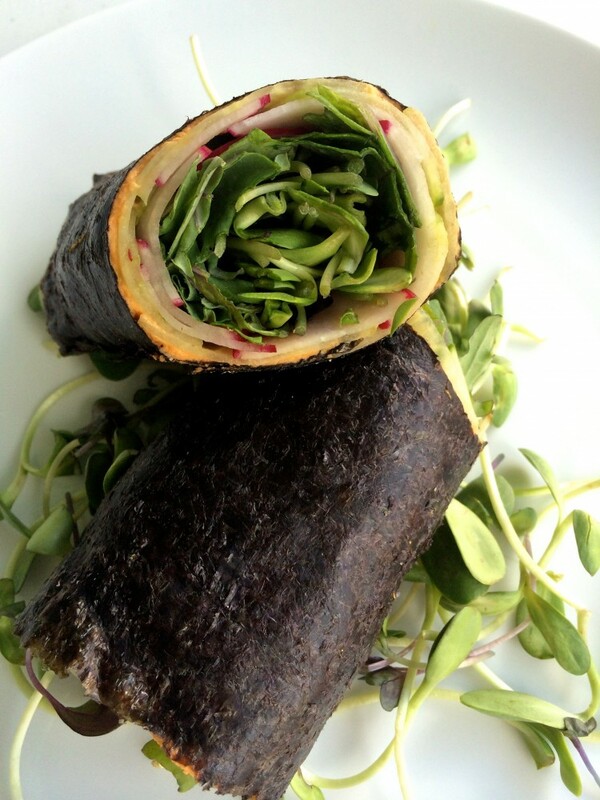 I’m loving the simple idea of these wraps, but I’m not a huge fan of nori. Could you give me any other suggestions as to what I could use as a substitute? Louise, you could definitely use a collard green leaf or a romaine leaf instead! I’m buying some nori ASAP because these look delicious! It’s so much fun experimenting with different wrap fillings- a friend just got me into pepitas in veggie wraps- love that little crunch and the saltiness!